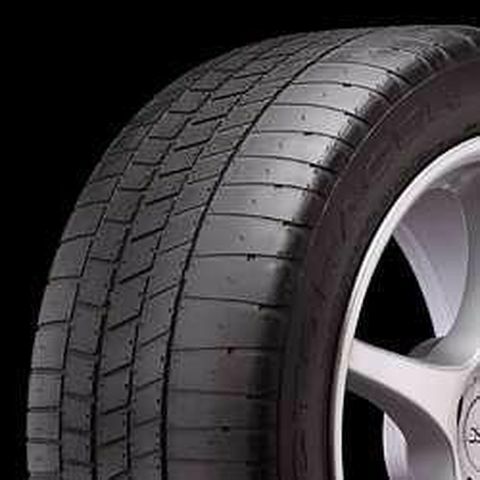 Competition Racing Designed for sports car club racing, the tread compound and asymmetric tread design maximize grip, handling and tread life. The rayon carcass plies and additional sidewall stiffeners provide quick steering response and high temperature durability. The Victoracer V700 is DOT approved. ARC compounding tech for superior traction and handling. Minimum tread grooving for ultimate cornering power. Asymmetric tread pattern for efficient water evacuation. Two durable nylon cap plies give high-speed stability and resistance to centrifugal forces. High ply turn-up and additional nylon reinforcement provide stiff sidewall construction. P225/50R-15 50AAA 1,356 lbs N/A 6/32nds N/A N/A N/A 24"
Purchase includes the Kumho Victoracer V700 tire only. The wheel rim shown in the picture is not included. Picture provided is a stock picture from the manufacturer and may or may not reflect the actual product being ordered. All Kumho Victoracer V700 tires are continuously developing with manufactured improvements. With that said, Simple Tire and the manufacturers have the right to change these tire specifications at any time without notice or obligation. Please Note: Specifications of the Kumho Victoracer V700 tires shown above are listed to be as accurate as possible based on the information provided to us by Kumho tires.